All Traffic is sent AS IS with no guarantee of converting into sales or Opt-Ins. All campaigns are considered active, the moment the first visitor, hit or traffic is delivered to the client site. All traffic will be delivered to the website address submitted with the order. In an event where there is an error with the submitted URL, the client will not hold us responsible for the error. Any traffic delivered to the client’s site reflecting the above error will not be credited or entitled to a refund. In an event that the client’s site becomes unavailable for any reason like server is, timed out, active but with internal server error and 404 errors, the client will not hold us responsible for these errors. Any traffic delivered to the client’s site during this down time will not be credited or refunded. In an event that any of the above errors occur including any errors that are not listed but clearly intended, the client may submit a request to put the campaign on hold. Upon resolution of the problem, the held campaign will continue. Any traffic previously sent will not be credited or refunded. We do not allow campaign pages with any kind of popup windows, exit windows or any other kind of extra generated windows including system message windows and Java Script alert windows, unless specified in the package description. Any additional window generated by your site shall be considered a popup window. You may not use any Java Script to modify the window size. Your campaign page may not have any music or Java applets on the page. Attempting to use any Java Script that change people’s homepages or add your website to their favorites is prohibited. If a popup window is installed on the URL at any time, we will stop the campaign and you will not be entitled to a refund. We shall be permitted to use the client’s name in connection with our marketing materials. Subject to the prior approval of our client, we may elect to issue a joint press release announcing the client’s marketing partnership with us. We will no longer accept URL’s ending in .co.cc as 100% of the domains were virus infected and fraudulent. 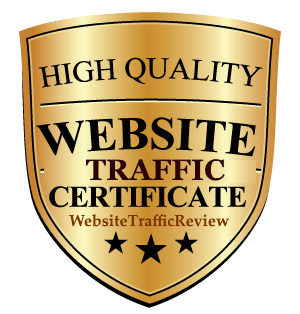 We will deliver the traffic that is ordered by our client. We will use our own tracking system to determine the quantity of traffic that is sent to the client’s website. We won’t be liable if your website raw logs don’t match with our tracking statistics. 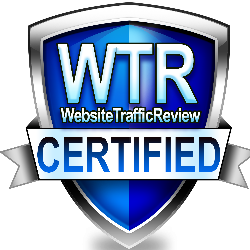 Our traffic is redirected traffic and your own web stats might not show all the visitors that are redirected. We are not responsible for any improper use of our client’s program, information, links, articles or any other content available on their website. For country targeted traffic orders, we have an IP database and a script that works with the database to determine visitor’s country. We cannot guarantee that the traffic will be 100% targeted to the country you requested because ISP’s use dynamic IP addresses. You hereby agree that we are not responsible if you receive visitors from other countries other than the targeted country. 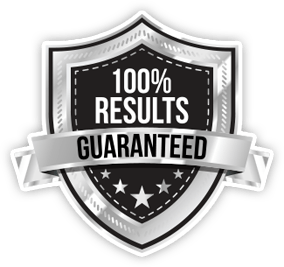 We will do our best to get you the most targeted traffic and this is the only guarantee for this service.